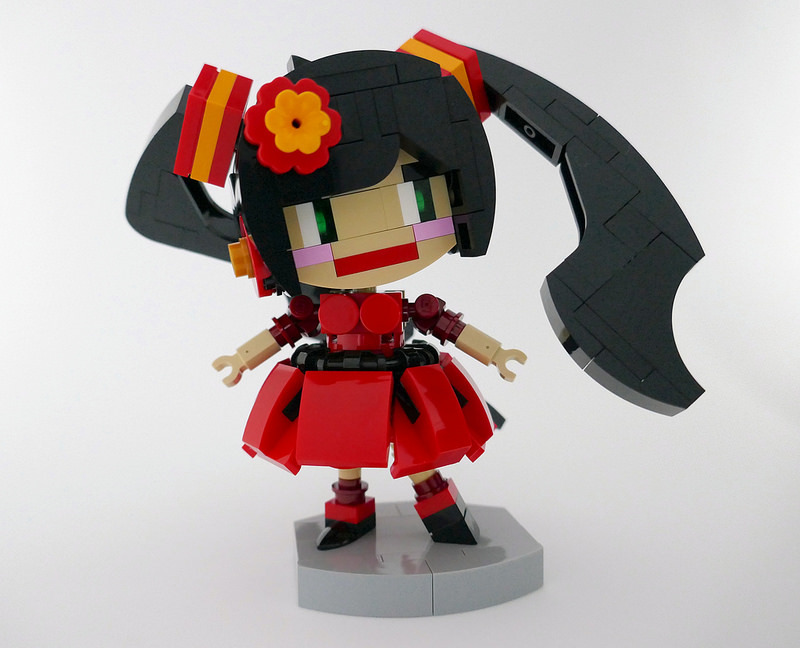 Builder LegoWyrm takes inspiration from Hatsune Miku, a humaniod anime persona. LegoWyrm gives it a Spanish flavour with a red themed outfit, and upped the cutness factor by shrinking the character to a chibi sized version. It works gleefully well, with the dress piece arrangement and the pose held together by the unique use of elements for the feet. This is absolutely fantastic build! I wish brickheadz was a theme like that and not a cubic form.